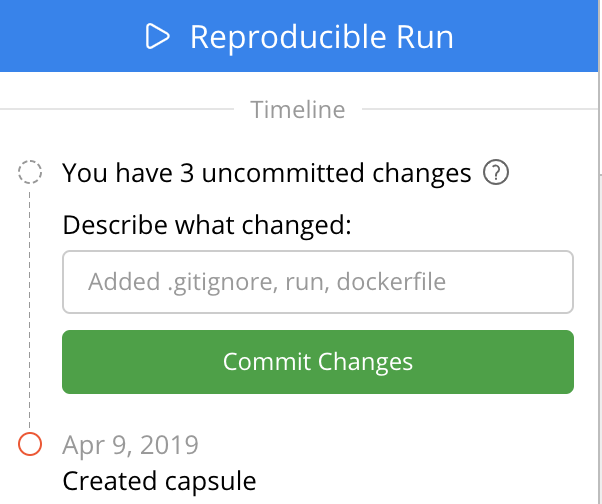 Code Ocean capsule files – code, data, environment, and metadata – are managed as a Git repository. NOTE: If you've never used Git before, you don't need to worry about version control. Code Ocean endeavors to provide version control for those who wish but not to disrupt existing functionality. If something is confusing, please let us know via live chat or an email to support@codeocean.com, and we will be happy to help. clone your private repo to your computer.